The International Law Enforcement Educators and Trainers Association has named our very own Dave Spaulding as its Trainer of the Year. 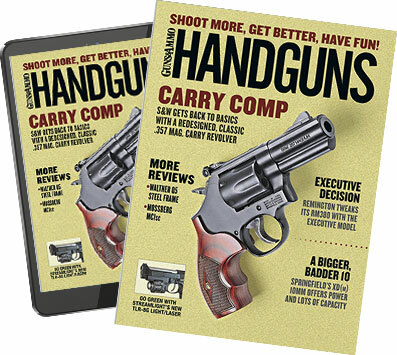 a Over his 28-year law enforcement career, Dave has worked in corrections, communications, patrol, evidence collection, investigations, undercover operations, training and SWAT, and anyone who has read his popular "On Patrol" column or his other writings in Handguns knows how dedicated Dave is to training. The trainer honor goes to the applicant the association believes has given the most to law enforcement training. "Dave was a natural," said Ed Nowicki, ILEETA executive director emeritus. "After all he's done, so freely, it's what ILEETA is about."